Leveraging on our enormous business competency, we have brought forth a vast gamut of Sheet Metal Assemblies. Condenser Manifold Assemblies supplying to leading automotive companies. We fabricate high on performance piston assemblies from superior grade Welding Assembly For Sheet Metal. Our sheet , metal assembly comes with a welded yoke. Our sheet metal assemblies are compatible in a variety of engines. 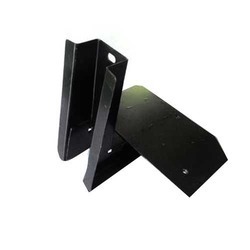 The sheet metal assemblies are made from superior metals which are corrosion resistant. We offer a wide range of sheet metal components and automotive sheet metal components for home appliances, electrical goods components and others. These are available in various sizes & dimensions can also be customized as per the specifications. We hve capability to produce sheet metal parts and assembliesin any material.